If you never say no, your yes is meaningless. Sylvester Stallone was a struggling actor in every definition. He was so broke he sold his wife’s jewelry! (She wasn’t happy about that of course). His lowest point came when he tried to sell his dog at the liquor store to any stranger. He didn’t have money to feed him anymore. He sold his dog for $25 after a guy bargained from $50. He said he walked away crying. Two weeks later he saw a boxing match between the world champion Muhammed Ali and Chuck Wepner. Stallone had his idea for his movie. 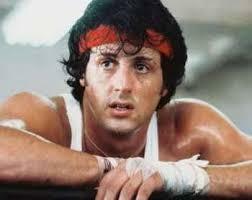 He sat down and wrote the screenplay for Rocky in 20 hours. He tried to sell it. He got an offer for $125,000 for his script! That money would have changed his life. He had one request. He wanted to star in the movie. The studio said no way. They wanted a real star. Not a guy who looked funny and talked funny. He left. A few weeks later, they offered $250,000 then $325,000. They wanted his movie but not him. He said no. He was an actor first. The studio agreed on giving him $35,000 for the screenplay and let him star in it. The rest is movie history. It won Best Picture at the Oscars and took him to stardom. He was 30 years old when Rocky was released. You might be wondering what was the first thing he bought with the $35,000? He said he stood at the liquor store for three days hoping to see the man he sold his dog to. Finally on the third day he sees the man and his dog. He explained why he sold him, but begged for him back. He offered $100. The man said no. $500. $1000. The guy said no amount of money would make him sell the dog. Stallone was determined. He had to get his dog back. He offered the man $15,000 and a part in Rocky! The guy said yes and Stallone got his dog back.